This is G o o g l e's cache of http://forum.bustalk.net/index.php/topic,2156.0.html as retrieved on Mar 5, 2007 04:55:12 GMT. 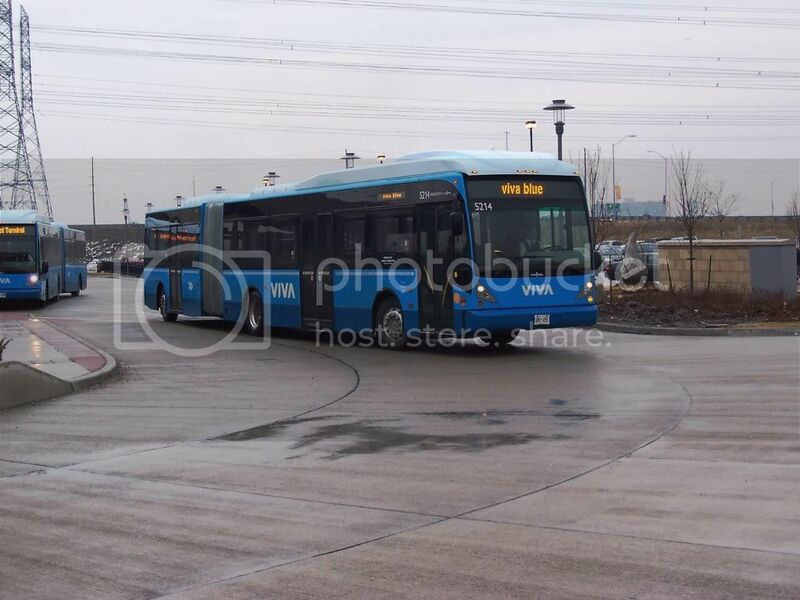 I hope I'm not going to hate myself for doing this, but I just opened my email client (after two days) and found that I had about 10 pictures of what appear to be a Van Hool demonstrator in NYCT livery being given the "once-over" by maintenance and management at the Zerega CMF in the Bronx. The ONLY reason I'm skeptical is because the email did not come from a member here, but it was signed by a member here (and explained within). So... Let me verify that these images (which will be posted in the next message) did in fact come from a member here and they are legit. Here's a sample (including the email text); the rest will be uploaded to the gallery once confirmed. I do believe this email and the associated pictures to be fact, because the email mentions another aspect of something that's been going on between the two of us for a couple of weeks now. So I'm pretty confident in the source itself, I just need to confirm that the message did indeed come from that person. Thanks Bk and thanks to the anonymous source, does this demo have three doors then or just the usual 2? Thanks (this is an interesting development) Does Van Hool make good buses? I don't know anything at all about the Van Hool, but the email message indicates it has two rear-door assemblies, so I would conclude it has three doors (one front, two rear). Thats cool but I wished NF was the demo and had three doors but what can we do? Thanks a lot. The bus arrived around 11 AM this morning. It looks nice but it has it's issues, like say the forward unit only seats 18. This model, borrowed from San Francisco by way of Florida has no A/C. The forward unit is a "pull unit" meaning it pulls the 2nd unit not like the New Flyer which pushes the forward unit. This is only a teaser bus. Noone knows if it's going to be put to the test, although it has NYCT livery on it. It also has Florida plates. More later. 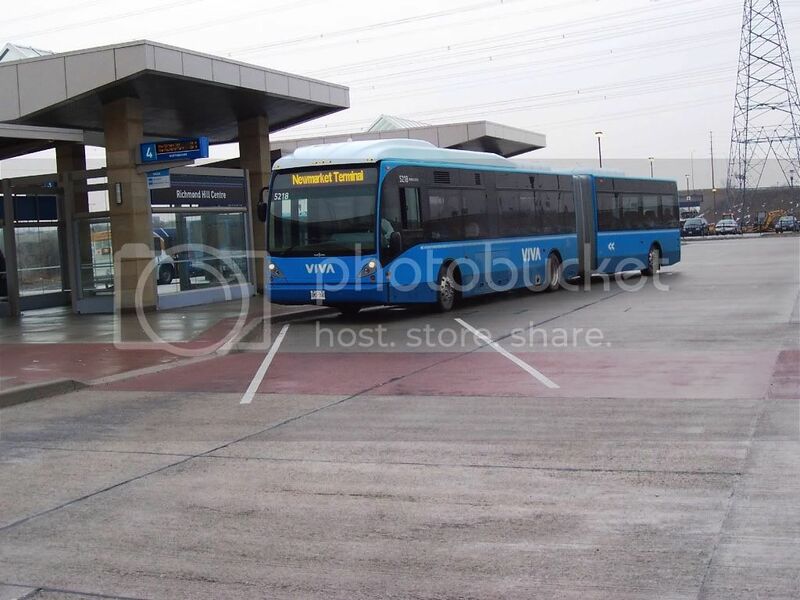 Please see the Van Hool Articulated Demo Gallery for all images. Where is the cup holder I wonder how it will hold up to the potholes. I like the wheels. You like the wheels, then you will like the fact that all wheels have disk brakes on them, the bus is riddled with cameras although no one knows where the recorder or monitors are. You like the wheels, then you will like thew fact that all wheels have disk brakes on them, the bus is riddled with cameras although no one knows where the recorder or monitors are. Instead of monitors and recorders, the bus may have transmitters. I like the bus, but nobody needs the MTA playing "Big Brother". Any idea if it's going to go into revenue service as a demo any time soon? However, the below attachments were sent to me as part of this bus info package, so I'll leave them here and available until I hear otherwise. They do not match what's posted above, and the AG330 which is referenced on a poster isn't listed on the Van Hool website. How can NYCTA or MTA Bus hold these buses in the depots, I would assume they would need to reactivate their storage yards since its really long. If this hool goes into revenue service how much more money will drivers get paid to operate this bus? BK, I think that you're posting the specs for the wrong bus. Does an 80 foot artic having a good enough turning radius to operate on NYC streets? How many feet long is each unit, front and rear? I don't think that's the MTA's livery on that bus. It looks to me like it's just a big rectangular sticker that says "MTA New York City Transit" on it. IMO, I don't think it's a bad lookin bus. But if the MTA wanted to go with low floors, they prolly would've stick with that 65 bus order from New Flyer. One more question, is that a diesel, hybrid, or CNG bus? BTW, from a door side, here it is. 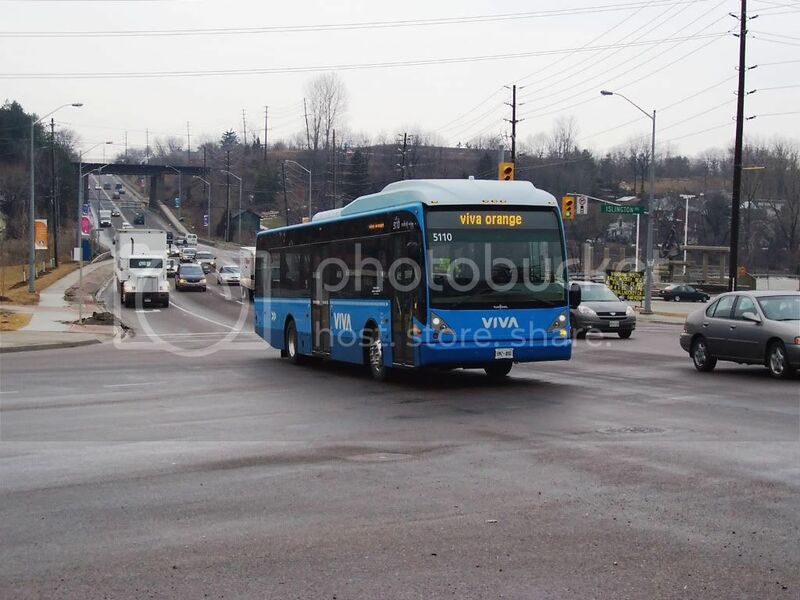 (The pic Rob posted and this one here are both in Thornhill, ON.) If you ask me, however, the MTA should go for roofline-hung mirrors on both sides, which would eliminate the blind spot. And a 40-foot version, taken in DC and in Woodbridge, ON (LEFT: A330, right A300). I saw Van Hool artics when I had visited Montreal last summer. They were not operated by STM (the Montreal transit authority) but I believe they serve communities south of the St. Lawrence River. I also saw and heard single unit 'Hools in DC last summer (in the lower LH photo, above). They look very futuristic and are exceptionally quiet. It seems as if AC Transit in Oakland uses "Hools extensively. I suppose you have to give ABC Bus some degree of credit for marketing these units. Longeuil has them...and if I visit Montreal, that would probably make me spend an entire week covering that area, OCTranspo, and the TTC again. The sticker on the bus reads AG330. The RTF and PDF files sent to me as part of the package were of the AGG300. Is the AG330 a new model, or is this an error as well? Taking a closer look at this bus I think NYCTA and MTA Bus should be really interested, theses buses look good. I hope if they do go through with an order, they keep the 3 door assembly and maybe change the drivers area to include some things that drivers need (cup holders Also they keep the black trim instead of white washing everything. I like the bus and I hear it provides a smooth ride. So maybe Van Hool can make an impact on this Orion dominated agency. All I have to say is...."BRING IN MORE D60HF's!!!" It would be nice to see new NF's but it doesn't look like MTA even talks to them. Come on, guys? I don't mind when you kick me when I'm down, but while I'm down here, could you throw a dog a bone and answer the question? The sticker on the bus reads AG330. [...] Is the AG330 a new model, or is this an error as well? The 300 is mid-engine (underfloor between the axles), while the 330 is a rear-engine offset to the side a la Nova LFS. The 330 is NOT available as an artic because of its engine location. Looks good, the MTA is really exploring other options besides New Flyer for new artics. I don't see them going with the 3 door setup eventually since seating capacity would be reduced so we'll just have to see how things go. All I have to say is...."BRING IN DE60LF HYBRIDS!!!". 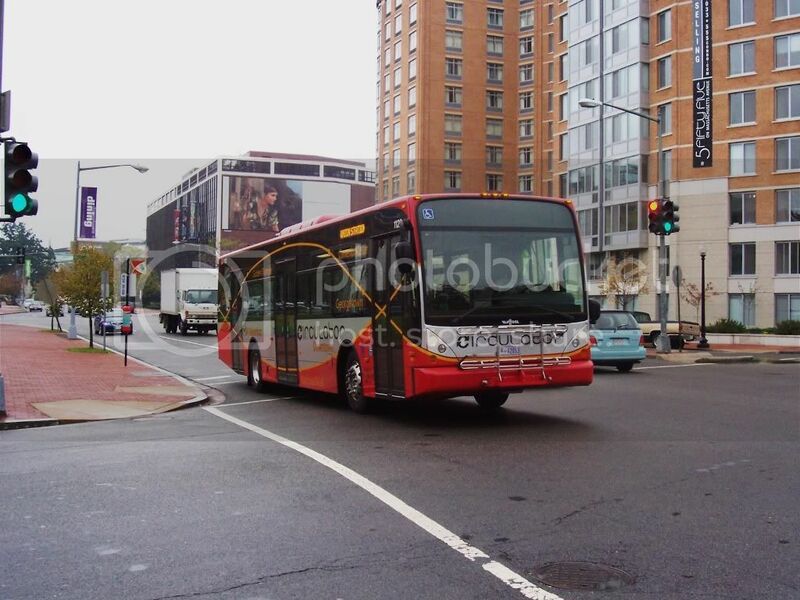 There is nothing wrong with New Flyer's low floor articulated buses. Proud parent of a New York transit worker. I've read that New Flyer hybrids are better for highway running and get poorer mileage in city driving than the O7 does. Well, Orion doesn't offer an articulated bus. The only North American choices are New Flyer and NABI, and the NABI option is only available in BRT-styling. BTW, New Flyer, Gillig, and NABI hybrids use a GM hybrid system, while Orion uses a BAE hybrid system. Well, Orion doesn't offer an articulated bus. The only North American choices are New Flyer and NABI, and the NABI option is only available in BRT-styling. Unless NABI's website is out of date, which I highly doubt, the standard 60-LFW is still being offered. The 60-LFW should be a strong competitor against the D/E60LF, but the 60-LFW has only been ordered by one city -- Chicago. Yes, but the website makes no mention of the standard 60-LFW being offered in diesel-electric hybrid. Well, Orion doesn't offer an articulated bus. The website lists "choice of powertrain, including diesel and alternate fuels." I wouldn't doubt that a hybrid option is available. Diesel-electric hybrid is not a fuel, it is a propulsion method. Diesel-electric hybrid buses use the same type of fuel as diesel buses, but run together with electrical power. While I may be wrong, I think the NABI website is referring to CNG and LNG. Supposedly TTC is considering artics again, so they could be the first unless NYCT changes its mind about low-floor artics. Of course, we still need something more definitive first from Orion about an articulated model. Are orion building artics for NYCTA? From what I've read, Orion is interested in building an articulated version of the Orion VII. If the NYCTA only wants high-floor artics, what is stopping them from ordering the NABI 436? NYCTA should've gave Neoplan a shot with their AN460. The NJT An460's look great but it looks like they have the same type of ride as the Flxible Metro A's that I rode when I was really young from LIB, Extra Bouncy and alot of lean during curves. The artics at New Jersey Transit are AN459s. However, it was Neoplan's attitude to gays that meant that Neoplan wasn't even in the running for the articulated order (in effect, Neoplan was a disqualified bidder). That bus looks awesome. I would want that on the Q44 Limited. Do not like artics, do not want artics, understand need for some routes to have artics, but DO NOT WANT ARTICS AT MTABC! PS- drove an artic at Zerega for about an hour. However, it was Neoplan's attitude to gays that meant that Neoplan wasn't even in the running for the articulated order (in effect, Neoplan was a disqualified bidder). Says alot about the people get a good bus or be politically correct. I opt to get the good bus, this is America I can believe and say whatever about anyone, thing, or expressed idea without censorship. Why should morally come into a bidding process? A large segment of America believes that homosexuality is morally and religiously re-hensable, so a company that expresses fundamentally Christian/Muslim views is a champion in their eyes. But this is a thought for another thread. If that's the case, then how did Neoplan get away with the San Francisco Muni orders? This bus would something nice for MTA Bus. NYCTA I dont know to much but MTA Bus would be a good fit. Like I said before in another topic MTA Bus should branch off and be someone different. No need to get the same kinda buses that NYCTA has. For example look at LIRR and Metro North, they have the same kinda car which is the M7's but when you look down the line they have alot of things different from each other.